It’s the first “transversal” section of the Museum: all the floors, from the entrance to the ground floor and the fifth floor, host hundreds of high definition displays – wide video walls between the others – that reproduce on demand 4k videos about the most important sites and localities of the Mediterranean area. Accompanied by Pino Daniele’s musics, these pictures catch visitors’ attention, that live a “full immersion” in the treasures of Our Sea, from Campania of Emotions and its main sites: from the Vesuvio to Pompei, from Ercolano to submerged Baia, from Capri to Positano, from Ischia to Padula, from Procida to Ercolano. 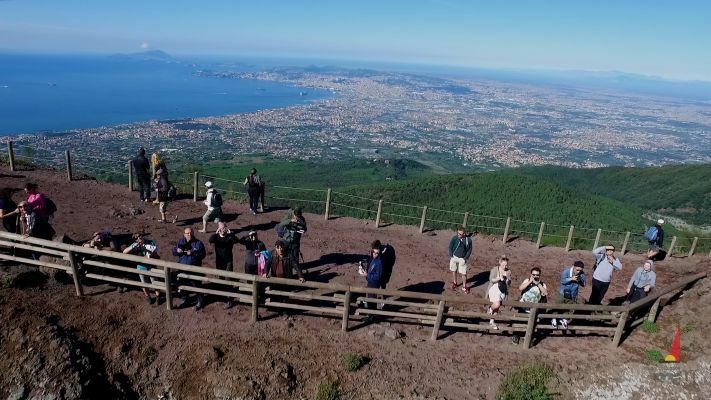 From Irpinia to Sannio, from the Royal Palace of Caserta to Paestum, from Amalfi coast to Sorrento, from Naples to Salerno.